Francis McAllister is the Vice President of Land & Water for Freeport-McMoRan is responsible for water supply and strategy for the global operations. In addition, he manages Freeport’s land holdings, including land acquisitions, divestitures and exchanges. Prior to his current position, he was a Director of Business Development for Freeport where his primary role was to explore opportunities to grow and expand the company’s business. Prior to joining Freeport in 2010, Francis managed all financial, legal and commercial activities for BHP Billiton Base Metals Group in North America. His career with BHP spanned 16 years and included the following positions: Finance & Commercial Manager, North America; Vice President-Investor and Community Relations for the Americas; Manager-Commodity Trading; and Manager-Financial Services. During Francis’ 25 year career in the mining industry, he has worked in various capacities for Magma Copper Company, BHP Billiton and Freeport-McMoRan. His career has enabled him to live and work in Arizona, California, Texas, and Melbourne, Australia. Francis graduated from Brigham Young University with a Bachelor’s Degree in Economics and subsequently attended the University of Arizona receiving his Masters of Business Administration from the Eller College of Management. 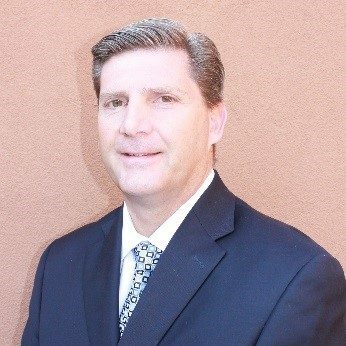 In February, 2011, Francis was appointed to the Executive Committee of the Arizona Mining Association and one month later was elected Chairman of the Association, a position he currently holds. During his tenure as Chairman, the Association’s membership has quadrupled and it is now one of the leading industry associations in Arizona.